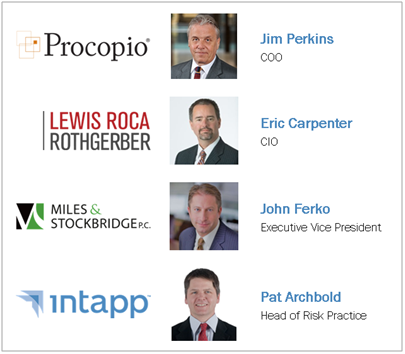 Intapp is hosting a webinar for firms using LegalKEY for conflicts management, focused on understanding the current state of and emerging risks associated with that software product. Effective conflicts clearance is critical to law firm risk management. The cost of missing a conflict can be significant – from loss of business, to serious reputational damage. It’s why enhancing conflicts management consistently rates as a top concern in industry surveys. For nearly two decades, LegalKEY software has helped firms manage conflicts. But today, years after the last enhancements have been made to this product, and with future development concluded, the product is starting to show its age... and creating new potential risks. For example, the pending end-of-life of Windows Server 2003 and 2008 will create significant maintenance and support issues for firms. What’s more, growing evidence suggests that in common use data quality issues often surface in the product. In this environment, now is the time to start thinking about the future of conflicts management at your firm. This webinar will provide more detail on the state of LegalKEY, including product risk, Intapp and third-party support, and a review of response options. 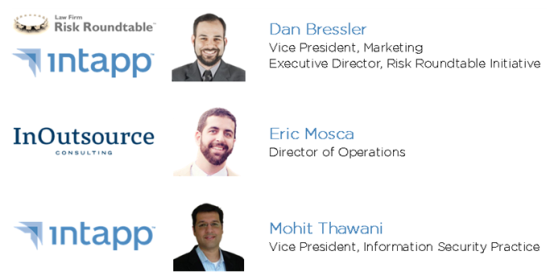 Moderated by Dan Bressler, head of Intapp marketing and the Risk Roundtable Initiative, the session will feature a deep-dive presentation from conflicts and LegalKEY expert Eric Mosca, Director of Operations at InOutsource. Eric has worked with a number of firms to improve their conflicts policies and practices, including technology optimization and migration projects. He’ll provide an overview of the LegalKEY “Health Check” his organization has developed. They’ll be joined by Mohit Thawani who will provide guidance for making the internal business case for investing in new software to enhance, conflicts, intake and overall business acceptance practices. Attendance is limited to select firms and partners. Please email Jason Yu for more information.